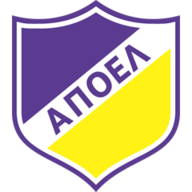 Fernando Llorente scored his first goal for Tottenham as they ended their Group H campaign with a 3-0 victory over Apoel Nicosia on Wednesday night. Spurs were already guaranteed top spot in their group ahead of the game at Wembley, but a poor recent run of form in the Premier League made it a welcome win for Mauricio Pochettino's side. Llorente scored the first before teeing up the second for Heung-Min Son, and Georges-Kevin Nkoudou added a third to leave Spurs feeling positive ahead of the last-16 draw on Monday. Pochettino's side collected 16 points from a possible 18 in a pool that included Borussia Dortmund and Real Madrid and while Bayern Munich and Juventus are the two stand-out opponents to avoid, Basel, Sevilla, Shakhtar Donetsk and Porto are other potential foes. A much-changed Spurs side had pretty much the perfect first half as Llorente and Son did the damage to Apoel. Davinson Sanchex, Heung-min Son and Dele Alli were the only three players to keep their places from the weekend draw at Watford, while the likes of George N'Koudou, Juan Foyth and Fernando Llorente were handed rare starts. The Spaniard, who got his first goal for the club after 20 minutes as he received a Serge Aurier cross well in the box before firing home, then turned creator as he teed up Son to net a fine second from the edge of the area after 37 minutes. That was enough to kill the game for Spurs, who were never really threatened by an Apoel side who needed a positive result to secure Europa League qualification. See 2017 out, and the New Year in, with a bang! There's more than 50 live games on Sky Sports this festive season. Upgrade to Sky Sports! 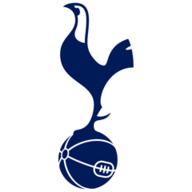 Spurs then added a third in the 80th minute as Nkoudou twisted and turned in the box before seeing his strike deflect past the Apoel goalkeeper. A composed display from Llorente up front for Spurs. He took advantage of a rare start by smartly scoring the opener, his first goal for the club in 17 appearances, before assisting Son's strike. Mauricio Pochettino: "It's a massive change and the feeling is completely different, last season we were so disappointed with how we played and how difficult it was to compete in the Champions League. This season we've improved and it's a massive step for us. But we have spent a lot of energy in different games which may have affected us a little bit in the Premier League. Now we need to focus on the Premier League and win games there. "I'm so happy with the performance tonight. It's great for different players to have the opportunity to play and show their qualities as it's important for a competitive squad by putting pressure on the players who play more regularly. We have a very busy period ahead and having more players with confidence who can compete for a place in the starting XI can help the team a lot."